Diabetes is a health condition that not only affects you physically, but mentally and emotionally as well. 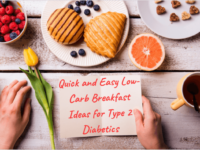 Due to the strict diet, the timing of your meals, and the possible repercussions of what might happen if the delicate balance is interrupted, diabetes can increase your irritability and mood swings. Learning as much as you can about the condition will help you to communicate positively and effectively with your friends and family, and ensure you maintain a positive state of mind. Stress can cause the body to secrete higher levels of stress hormones like cortisol, which can increase glucose levels in the bloodstream. 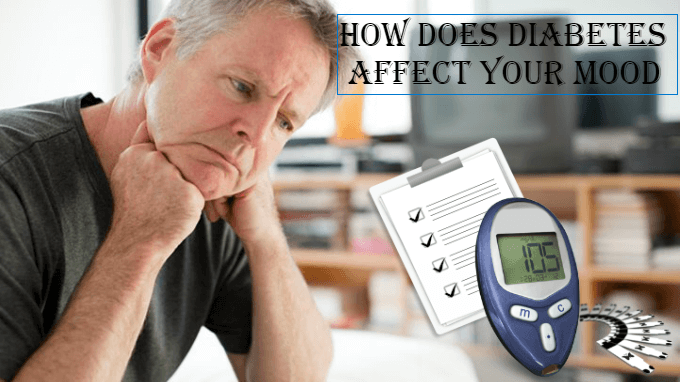 The more stress you endure, the stricter you need to be with monitoring your blood glucose levels, and the timing of your meals (and if applicable, your insulin doses). Remembering to monitor your blood glucose levels and carry your medications with you at all times can also add to the stress, so it’s important to have a consistent system in place. Nervousness and anxiety that result from not taking your medication on time or not eating according to your meal schedule can also increase the stress that many diabetics experience. Irritability can also arise if your blood sugar drops from a forgotten meal or too much medication on a given day. Low blood sugar levels can also lead to confusion and “mental fog,” similar to working long hours and skipping meals As you learn to monitor your condition and keep your blood sugar levels more stable, these experiences will be less frequent. It’s important to understand how diabetes affects the body, as well as the steps you need to take to maintain sufficient blood glucose levels. The more you learn about your health, the better you will be able to cope with stress and anxiety, reducing your irritability and allowing you to live a higher quality life. Hi there,I check your blog named “How Does Diabetes Affect Your Mood and Relationships?” regularly.Your writing style is awesome, keep up the good work!